Gulmarg is a small mountainous resort town, situated at the western end of Himalayas, in the Pir Panjal mountain range and it overlooks the Valley of Kashmir, Nanga Parbat and other distinct peaks. 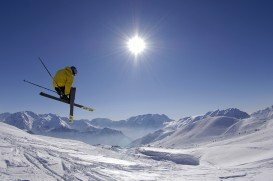 Considered to be “the heartland of winter sports in India”, Gulmarg is a unique major ski resort and attracts skiers from all over the world, as it combines incredible natural beauty, endless ski slopes, good quality powder snow and low prices. Home to the second highest six seater gondola lift in the world, the top elevation of the resort reaches up to a height of 12959 ft/3950 m, while it has a vertical drop of 4429 ft/1350 m. Facing the western end of the highest peaks, it receives big amounts of snowfall from mid December and this is when the snowboarding season is on. 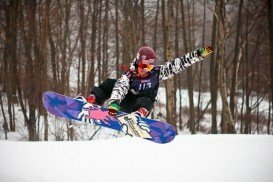 There are runs available for all skill levels. 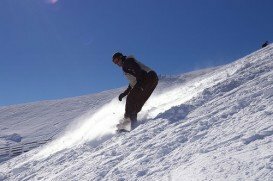 The phase 2 run is suitable for advanced snowboarders and is 1.2 mi/2 km long, while offering a vertical drop of 2296 ft/700 m. Phase 1 is suitable for intermediate snowboarders and runs through wooded hills for 1.8 mi/3 km and for beginners, phase 3 has three “baby” slopes with various difficulties and ski lifts. There are many instructors and guides available, as well as gear rentals, a snack bar, avalanche control and rescue services. 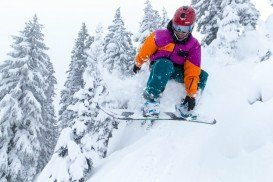 Despite the fact that there are no terrain parks, half pipes, snow making and X-Country facilities in Gulmarg, this place is one of the wildest ski resorts in the world, as it provides numerous untouched, off piste runs in an extraordinary scenery. 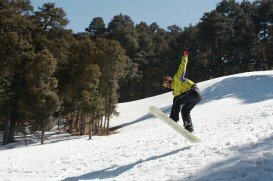 So don’t miss the opportunity to visit Gulmarg and the Himalayas for a one in a lifetime snowboarding adventure! Vaayu’s IKO (International Kiteboarding Organization) certified instructors will guide you through an hour introductory lesson taking a safe, fun and efficient approach to get you connecting with the power of wind. Our new adventure center is packed with Liquid Force gear and sits right on an empty beach with the perfect little lagoon to practice in. This 6 hour-course is specifically for individuals who have already taken some lessons, but haven’t finished their training or even for individuals who haven’t been in a while and want to brush up their skills and progress as a rider. Enjoy the power of wind like never before. Closest landmark Ashwem Beach. We do not organize drop off and pick for this activity. Cancellation Policy… More than 48 hours full refund / within 48 hours of lesson 50% refund / within 24 hours of lesson 25% refund. 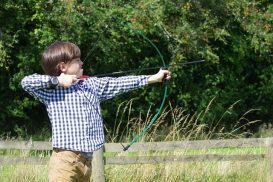 Private lesson: Availability is between February and May after 2pm and before 5pm. 2 Lessons in a day possible depending on wind conditions. Conditions must be a confident and capable swimmer. India’s Highest BUNGY (Jump Height : 83 m) with Jump Masters from New Zealand! Jump with rubber cords tied to the ankle and feel the adrenaline rush like never before. The Bungy has been designed by David Allardice of New Zealand. We follow the Australia & New Zealand Safety Standards. PLEASE NOTE : Due to its extreme nature, this sport is not suitable for people with the following medical conditions – Back or Neck injuries, Recent Fracture, Any Dislocation, High Blood Pressure, Asthma, Neurological Disorders, Epilepsy, Heart Conditions, Pregnancy, Osteoporosis. In case of any of these conditions, you will be prohibited from Jumping and/or Flying. 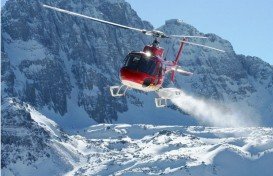 In case of any other relevant conditions, especially over the age of 40, you are obliged to inform the Crew, and will further be allowed to jump only at their discretion. 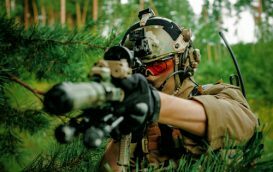 Cameras are strictly prohibited on, or around, the jump zone for safety reasons, and this is not negotiable. Videos can be bought separately, in-store. The Jump Zone is closed on Tuesdays. Enjoy the thrill of India’s highest Bungy and Giant Swing (Jump Height: 83 m)! Designed by Experts from New Zealand & Operated by Jump Masters from New Zealand! -Bungee Jump with rubber cords tied to the ankle and feel the adrenaline rush like never before. The Bungy has been designed by David Allardice of New Zealand. We follow the Australia & New Zealand Safety Standards. -Giant Swing – One is fitted with a seat and chest harness, which is connected to fixed wire ropes. On jump, after initial free fall, the ropes smoothly swing like a pendulum. This exhilarating adventure can be done by 2 people together in Tandem ~ Swing with a friend or your partner, and make this a day you’ll never forget! Fly at 160 kph on Asia’s Longest Flying Fox (Length 1 km)! Designed by Experts from New Zealand! The launch platform, built over the river Hiaul, is 120 m high. Fly with your closest pals! The fox is normally done by 3 people in Tandem. Can also be done solo, at an extra cost (45$). Enjoy the thrill of India’s highest Giant Swing (Jump Height: 83 m) and Fly at 160 kph on Asia’s Longest Flying Fox (Length 1 km)! Designed by Experts from New Zealand & Operated by Jump Masters from New Zealand! -Flying Fox – The launch platform, built over the river Hiaul, is 120 m high. Fly with your closest pals! The Flying Fox in the Combo package is taken to be a tandem/triple ride. Or fly solo at an extra charge! 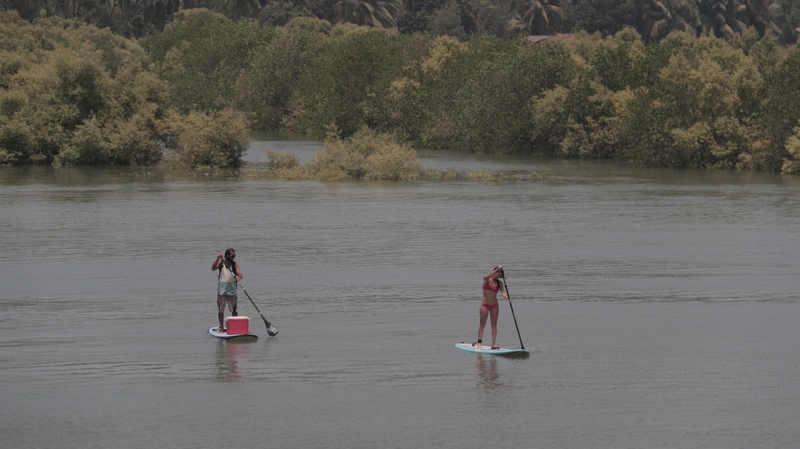 Admire the mangroves of Goa in a whole new way!!! Explore the mangroves, tributaries and oceans with the versatility of a kayak. Our center is perfectly located by the river mouth allowing you to see plants and a beautiful array of birds. A complete selection of kayaks, paddles and also life jackets are at your disposal from our adventure center. So if you are tired of just chilling on the beach all day long, come play our way. Experience the joy of Goa’s wildlife like never before. Closest landmark Ashwem Beach. Can be shared or private we have 3 kayaks available for rent. Availability all day, but best when it is high tide, so better book ahead to check a good time to come. 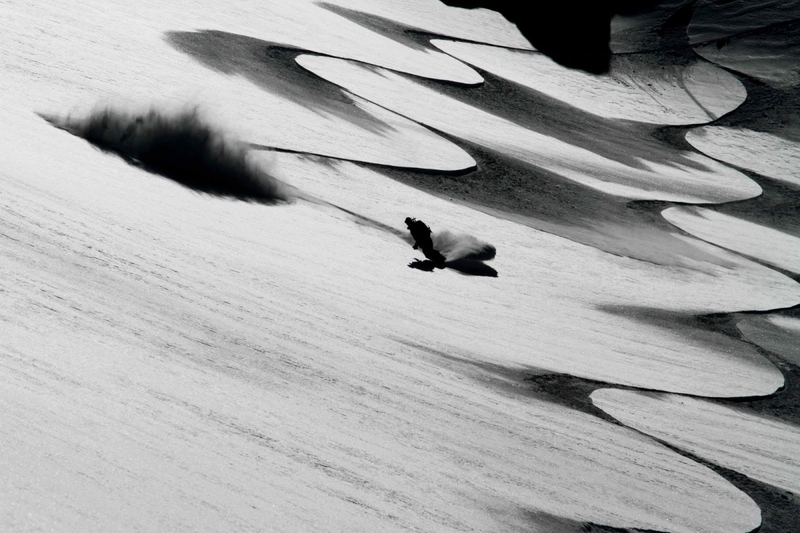 Have you ever imagined what it would be like to walk on, or better glide over water and shred some fun waves? SUP allows you to cruise like Jesus and explore the great wonders of the ocean and lakes of the world. Our WPA (World Paddle Association) instructors get you ripping it up in our learners’ lagoon in just no time. Once you have mastered the SUP, the water of the world becomes your playground. This lesson will last about an hour and we suggest you bring sunscreen and water to stay hydrated. Come Experience what the world’s fastest growing sport is all about!!! Closest landmark Ashwem Beach. Can be a Shared or Private Lesson no more than 3 people to an instructor. Can be shared or private, instructor can take up to 5 students at once. Availability is during high tide, so better book all ahead to check a good time to come. High Tide can usually last about 4 hours of the day. Want to learn how to catch mad air even when there is no wind? 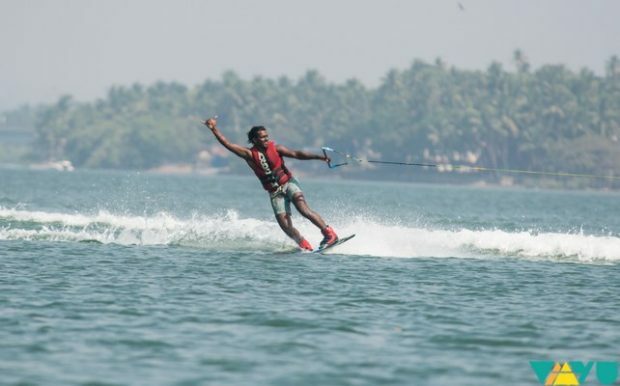 Come and learn how to wakeboard with our experienced team of instructors behind one of India’s first specialty watersports boats. We have brand new 2014 gear from one of the world’s leading wakeboarding companies, Liquid Force. We believe safety comes first so allour students are required to wear impact vests and helmets. Experience the thrill of riding on a twin fin behind a powerful boat!!! Closest landmark Ashwem Beach. Can be shared or private instructor can take up to 5 students at once. 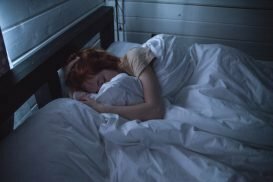 Availability is once in the morning for one hour. Enjoy the thrill of India’s highest Bungy and Giant Swing (Jump Height: 83 m) and Fly at 160 kph on Asia’s Longest Flying Fox (Length 1 km)! Designed by Experts from New Zealand & Operated by Jump Masters from New Zealand! 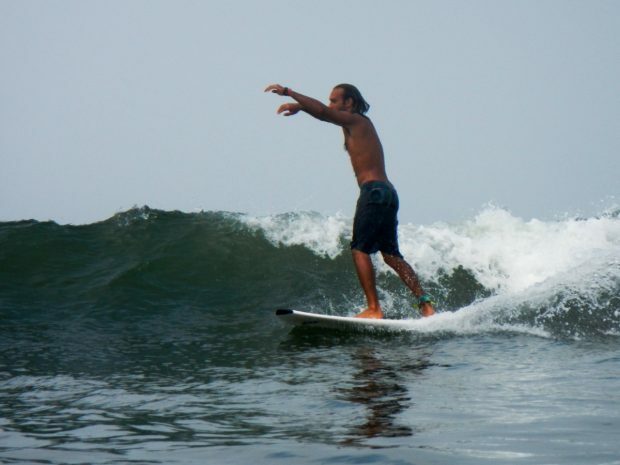 Have fun learning the basics of catching waves during your holiday in Goa! Learning to play with the oceans’ power is one of the most stimulating experiences you could ever have. With a full range of foam boards or long boards and your Vaayu surf instructor by your side, the waves are waiting for you to come over and just play. Your instructor will guide you through the safest and easiest way to get up on the face and reeling down the line by our center. This lesson will last about an hour an half and will take you through the basics of popping up, paddling and looking for waves. We suggest you bring sunscreen and water for your lesson. Experience the joy of learning to connect with the power of waves. Closest landmark Ashwem Beach. Enjoy the thrill of India’s highest Giant Swing (Jump Height: 83 m)! Designed by David Allardice of New Zealand & Operated by Jump Masters from New Zealand! One is fitted with a seat and chest harness, which is connected to fixed wire ropes. On jump, after initial free fall, the ropes smoothly swing like a pendulum. This exhilarating adventure can be done by 2 people together in Tandem ~ Swing with a friend or your partner, and make this a day you’ll never forget! Have fun learning how to catch waves during your holiday in Goa. Learning to play with the oceans’ power is one of the most stimulating experiences you could ever have. 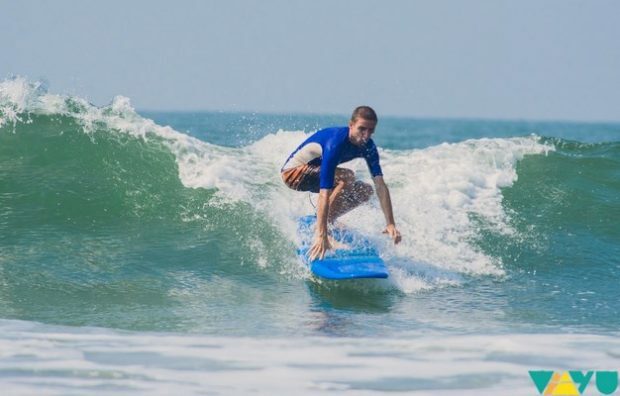 With a full range of foam boards or long boards and your Vaayu surf instructor by your side the waves are waiting for you to come over and play. Your instructor will guide you through the safest and easiest way to get up on the face and reeling down the line by our center. This 9 hour-course happens over the span of six days and takes you through the basics of surfing …teaching you all about popping up, paddling, looking for waves and currents and providing the equipment. We suggest you bring sunscreen and water for your lesson. 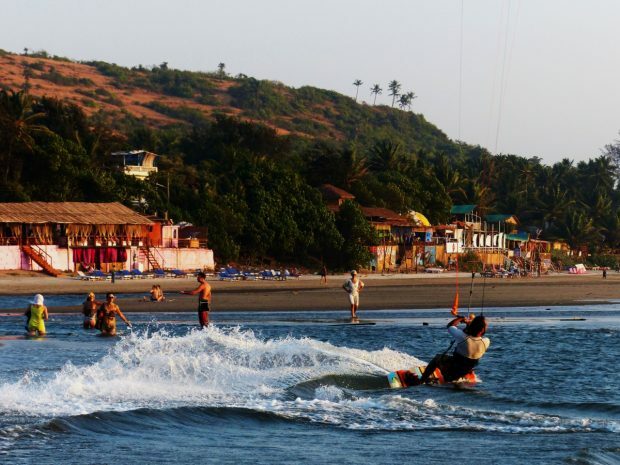 Have fun learning how to harness the power of waves during your holiday in Goa. Learning to play with the oceans’ power is one of the most stimulating experiences you could ever have. With a full range of foam boards or long boards and your Vaayu surf instructor by your side the waves are waiting for you to come over and play. Your instructor will guide you through the safest and easiest way to get up on the face and reeling down the line by our center. This 6 hour-course happens over the span of four days and takes you through the basics of surfing … teaching you all about popping up, paddling, looking for waves and currents and providing the equipment. We suggest you bring sunscreen and water for your lesson. Vaayu’s IKO (International Kiteboarding Organization) certified instructors will guide you through an hour introductory lesson taking a safe, fun and efficient approach to get you connecting with the power of wind. Our new adventure center is packed with Liquid Force gear and sits right on an empty beach with the perfect little lagoon to practice in. Enjoy the power of wind like never before!!! Closest landmark Ashwem Beach. 4 Lessons in a day possible depending on wind conditions. 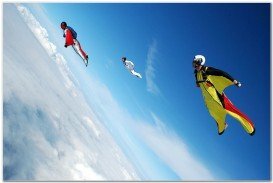 Enjoy the thrill of India’s highest Bungy (Jump Height: 83 m) and Fly at 160 kph on Asia’s Longest Flying Fox (Length 1 km)! Designed by Experts from New Zealand & Operated by Jump Masters from New Zealand! 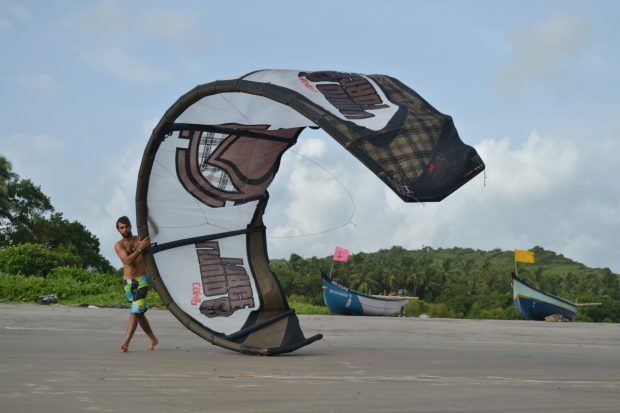 Vaayu’s IKO (International Kiteboarding Organization) certified instructors will guide you through an hour introductory lesson taking a safe, fun and efficient approach to get you connecting with the power of the wind. Our new adventure center is packed with Liquid Force gear and sits right on an empty beach with the perfect little lagoon to practice in. 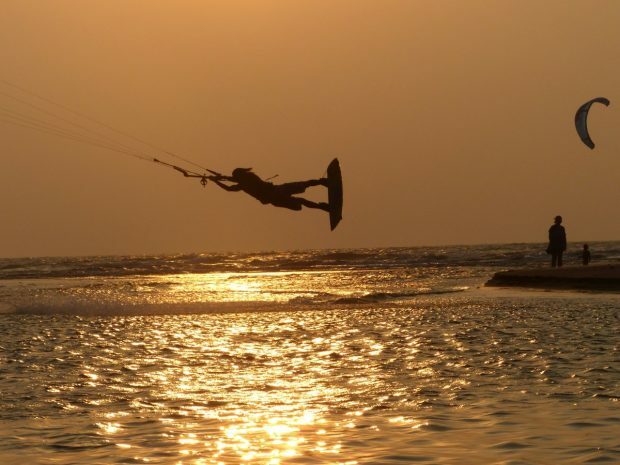 This 10-hour IKO certified course takes you through all the basics of kitesurfing, from kite anatomy, to safety procedures, wind theory, kite control, body dragging and finally board starts. This course has been designed to get individuals up through Level 1 by IKO standards. 2 Lessons in a day possible depending on wind conditions and availability. Phoenix Mountain is a ski resort in southern British Columbia, near the town of Grand Forks. Although it is a small mountain, it is impossible to get bored here. So, give yourself the opportunity to feel the adventure in the most appropriate Canadian place. Cairngorm mountain is situated in the Highlands of Scotland. 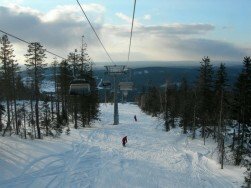 Cairngorm ski resort is one of the most popular in United Kingdom, located in United Kingdom's largest National Park. 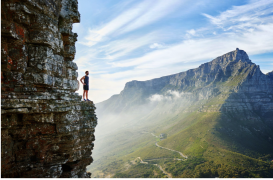 It offers some of the most beautiful routes, quite challenging however. What makes it different as a spot is that the only mountain railway or funicular is provided as a lift system. Visitors have the opportunity to choose among a wide variety of facilities, like hotels, restaurants, ski & snowboard schools and shops, at Aviemore, which is around 18 km/10 mi away. Would you dare to walk over frozen river ice with cold fast flowing water rushing just a few inches below your feet? 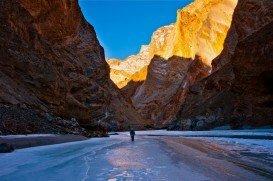 If the answer is yes, then the Chadar Frozen River Trail is a once in a lifetime adventure and it takes place in the highest plateau of Kashmir state, between the Kunlun mountain range and the Great Himalayas, in India. 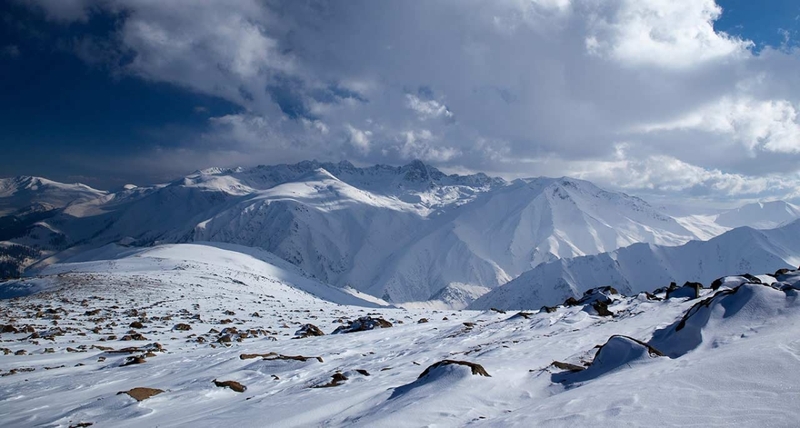 Jammu and Kashmir is a state, located in the majestic Himalayan mountains. Bordered with China in the East and North and Pakistan in the Northwest and West, the area is known for its amazing landscapes, such as the Kashmir valley and the bio geographical diversity with a wide range of elevations, subtropical pine forests and the endless Northwestern Himalayan alpine shrub forests and meadows.